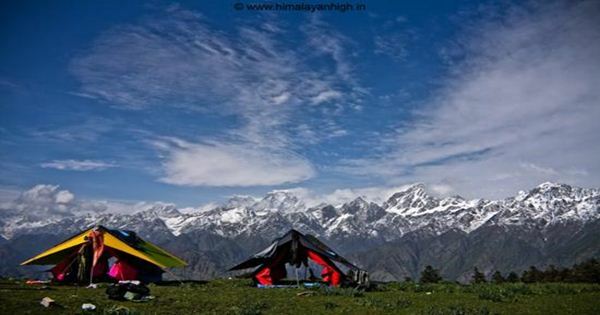 Har Ki Dun Trek is one of the best treks in Uttrakhand which starts from Sankri. After the wonderful drive following the Yamuna river and the Tons river, as soon as you reach Sankri for the Har Ki Doon trek, the peaks of Swargarohini, Kaalanag and Banderpoonch welcomes you to this wonderland. With each day on the trek, you just take yourself closer to these Himalayan mesmerizers. The villages and locals of Sankri, Saud, Taluka, Osla, Seema add extra vividity to the trek making it a very different trek from the rest of the lot. Borasu villages as they are called regionally. 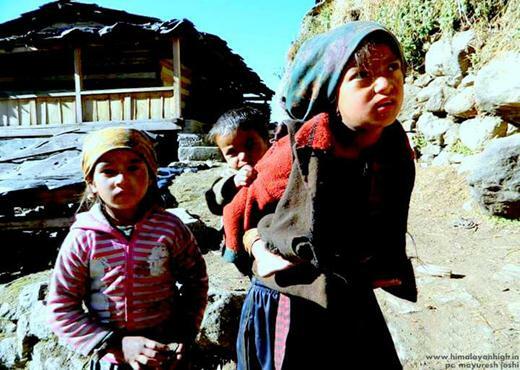 There is a drastic difference between the local rituals and traditions of the villages of these part of Garhwal Himalayas. Bordering with the neighbor state of Himachal Pradesh these villages present a mixed breed of the culture which is unique in itself. The structure of their houses and religious practices are unique and are insightful to learn. The architecture of the temples are fascinating too. 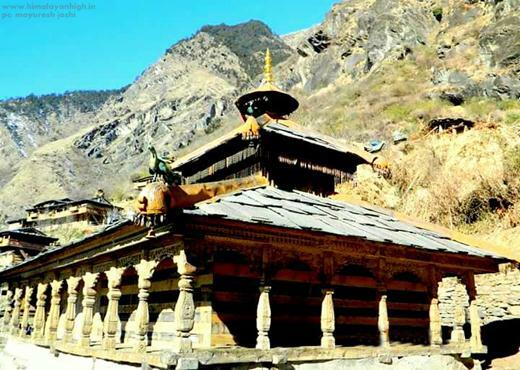 The Someshwar Mahadev temple of Osla, previously called the Duryodhan Temple, is related by legend to the ancient characters of the Hindu Epic - Mahabharata, and also as an incarnation of Lord Shiva, whose presence dominates the region. The trek passes through the villages walking parallel to the Har Ki Dun Gad which is a tributary of the mighty Supin river. The Supin river then meets its cousin Rupin in Naitwar from where it is called Tamsa or Tons. While during the Summer months of May, June this trek is lush green in nature, monsoons falls by July mid and continues till early September. During the monsoons, the trek is less frequently done as the views are blocked. As per our personal opinion, the trek and the nearby areas just look amazing with clouds playing magic over the mountains. However, when it rains here, it rains continuously. Post monsoons, the trek reopens and greets the trekkers with fresh green carpet. Slowly by the months of November, the grass start to turn brownish and dry.. the ground prepares itself for the long snow cover, almost for 4 to 5 months. 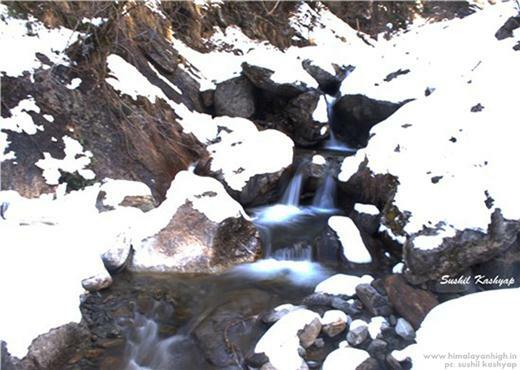 Har Ki Dun Winter Trek is one of the best winter treks i the Himalayas. Though the beautiful green cover of the valleu is hidden and over done by a fresh white carpet of soft snow, the trek becomes just more pretty. The region receives its first snowfall around the middle of December and the snow keeps on piling with each passing day. The snow cover here is good and stays till the middle of April. It makes a wonderful snow trek and since the trek is not that demanding, it makes a apt experience for the Beginners as well. On our treks, we usually take our trekkers for side excursions on the rest and exploratory day in HJar ki Dun. 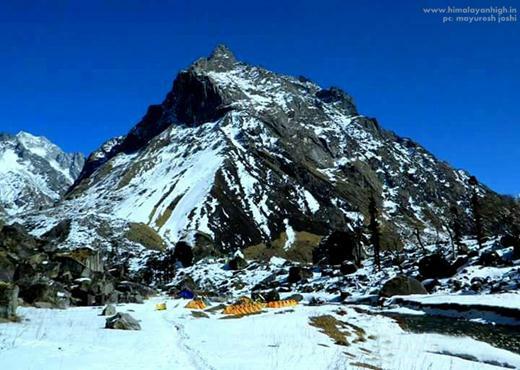 A simple hike upto the Maninda Tal and till Sawan Beda can be taken which falls enroute the more difficult Borasu Pass Trek can also be taken or a hike upto the Jaundhar Glacier. Some of our teams have managed to visit both the places on the same trek. 3 of the difficult and high value pass-crossing treks has this route in common to them. 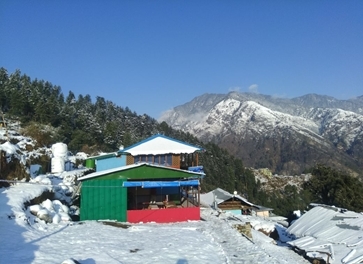 We believe that a smaller group gives you the best of the Himalayan Experience and specialize in organizing customized groups for the Har Ki Dun Trek. Do get in touch with us if you want us to arrange this trek for you. You can use the link - Customized Plan For Har Ki Dun Trek to drop us an email with your specific requirements and service required. We will get back to you with the detailed plan and quotation as per the group size and service requested. The pious and a very beautiful valley of Har Ki Dun. 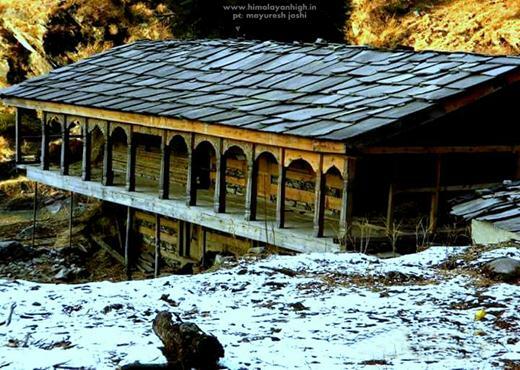 Har Ki Dun is a beautiful valley having religious importance for the Hindus. An excellent trek to begin a multi day trek in the Himalayas. This trek is considered easy, though it involves longer walks. 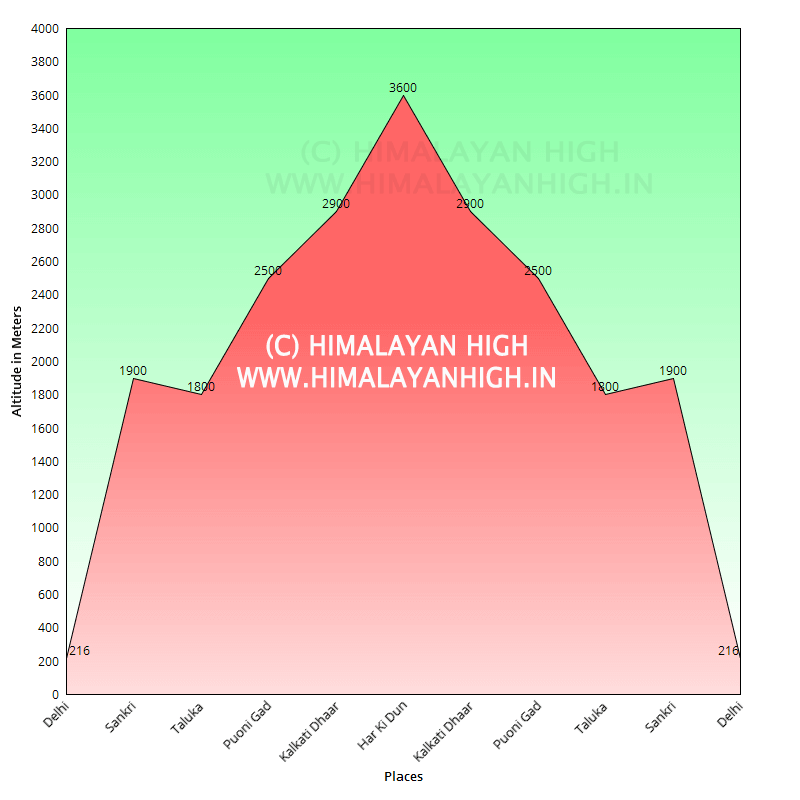 It gives you an apt platform to test your endurance which is required for a multi day Himalayan trek. Today after breakfast, we board our drive to Taluka. 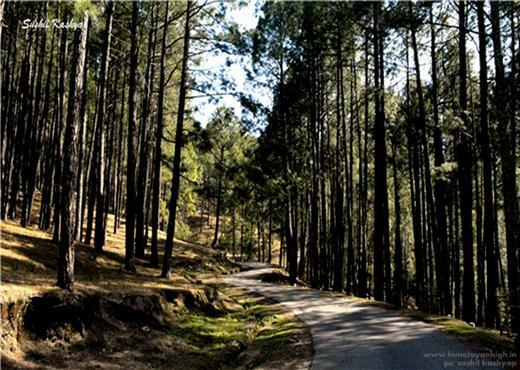 Its one of the most Exciting and thrilling roads in the Himalayas of Garhwal. A proper offroad drive in a bolero camper.. It takes us about an 45 minutes to reach Taluka, where we meet our mules and mulesmen. While our team loads our equipments are loaded on the mules, the trek team advances and start our trek to Chillurgad. We follow the Supin river ans start to enjoy the lovely trekking trail that it is.. the sound of the river is just so exciting to walk with through the forest with tall conifers. We often cross the river over bridges maing it excellent resting points on the trail and for somephotography sessios as well. Our trail today is quite a simple and straight forward one and as the route is also used by the villagers, it gets lively as well interacting with the locals, from kids to old men and women. The route crosses the beautiful village of Gangaad and then stops little ahead of the village of Puoni Gad. The campsite is lovely beside the Supin river and we can hear the gush of it throughout. Its a different kind of a music. The lovely and famous village of Osla is visible from our campsite hanging on the mountain in front. Do keep an eye for unique creations by the villagers, their houses and temples. Today we resume our trek for the day after having our breakfast. Starting from Chillurgad, we walk towards Seema. 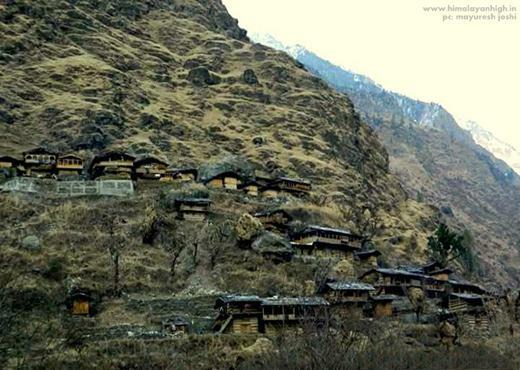 Its about 1.5 kilometers to Seema and on the entire distance, the village of Osla hovers over you throughout. On Seema, we take some rest as we get set to finally do some climbing on the trek and reach Osla. We leave the route towards Devsu Thatch and Bali Pass, Ruinsara Lake and cross the bridge over Supin river to climb to Osla. We do not enter Osla and keep it for the return trek. We gain quite some height with this climb and the the trail again gentles up climbing graually. The trail ahead is one of the most picturesque one as it swirls across climbing gently while both the side is a rich pasture land. The shine on the local organic crop talks a lot about how hard working the local villagers are.. Walking further, we visit a small temple of Devi which the villagers consider very pious and respects a lot. Trekking further bring us to the campsite of Halche from where we get lovely views of Bandarpoonch, White Peak, Black Peak or Kalanag, Ruinsara peaks and a peek into the opposite valley - the route towards Black Peak, Dhumdarkandi Pass which exits to Gangotri in Harshil and Bali Pass which exits to Yamunotri. Our trail for today involves very gradual ascends as we head towards the platue of Har Ki Dun. The trail is wonderful passing by a lovely waterfall. As we climb up, the river keeps on getting narrower and gives an extreme joy to watch amidst the forest of conifers, rhododendrons and lots of colourful and small wild flowers. Many species of bird could be seen on this trail as it gets peaceful. We walk by not disturbing the harmony and tranquility of the place. 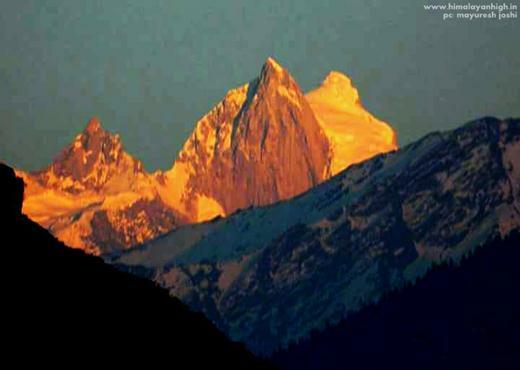 As we near Har Ki Dun, the giant peak of Har Ki Dun and Hata peak greets us. 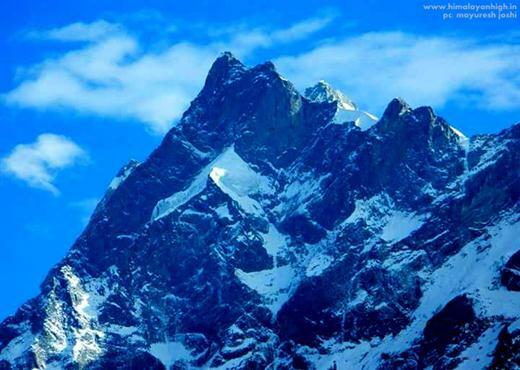 It is probably one of the most beautiful places in the entire Himalayas. The stream of Maninda with the view of Har Ki Dun Peak and Hata Peak in the background is just one of the perfect views in the mountains. Little beyond, the vast field of the Swargarohini valley is visible. Its an unbelievable view going up till the Jaundhar Glacier. We have early hot lunch today and leave to visit Maninda lake post lunch. It follows the stream and take a left towards the Borasu Pass route. It takes about 3.5 hours to go to Maninda and come back to Har Ki Dun. Rest of the day is spent experiencing the wonders of Har Ki Dun - its Lord Shiva's own land after all !! It ought to be special !! 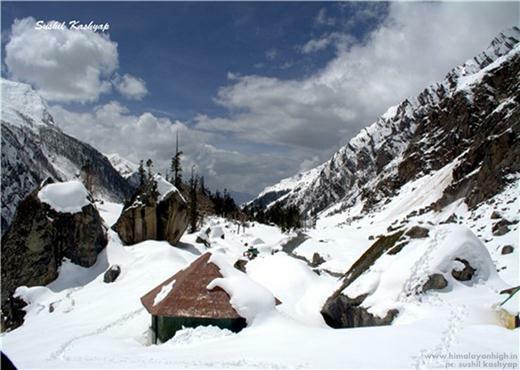 During winter till early April, this place receives good amount of snowfall and make a wonderful place to visit. 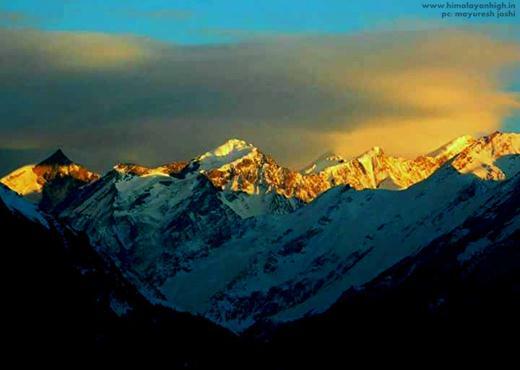 Today we wake up early morning to catch the lovely sunrise on the surrounding peaks. After having quick breakfast, we leave to visit the Jaundhar glacier of Swargarohini and surrounding peaks in the early morning time. We come across a vast meadow with the peak of Swargarohini forming the background, and a stream passing by.. amazing view ! We head towards the glacier and try to go as much as we can. Since we have to return to Osla on other half of the day, we fix a turn around time. It usually takes about 4 hours to visit the Jaundhar glacier view point and return back to Har Ki Dun. After we come back, we pack up quickly, have hot lunch and start our trek down to the village of Osla. We are expected to cover the straight forward easy trail to the village of Osla of some 8 Kms in about 3 hours. Tonight we spend in a homestay and experience the rich and unique culture and hospitality of the Borasu villages, in Osla. 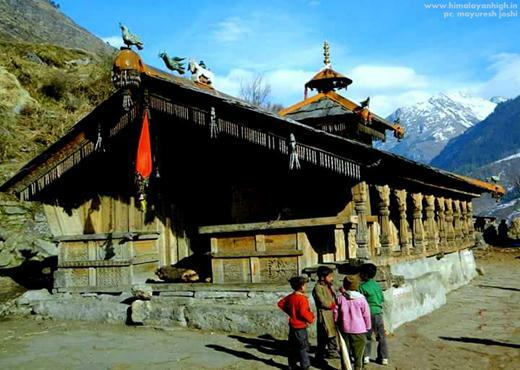 Yes, we do not miss to visit the Duryodhan Temple or the temple of Someshwar Mahadev. Descend down the same route to reach Taluka where your vehicle will be waiting to transfer you to Sankri. After you reach, you checkin to your hotel. 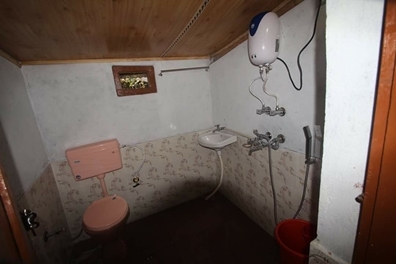 You may chose to have hot shower today. My first experience of a trek in the Himalayas was with Himalayan High.. and it couldn't have been better! Right from the trek guide Montu Singh to the local guide Mr Rawat to all the staff who accompanied us made sure that we had a wonderful experience and were dedicated to serving us in the best possible way. Har ki dun as a trek is moderately difficult and very apt for beginners. However it involves long stretches of walking and that can be tiring however the guides were immensely motivating. The trek itself is very scenic and beautiful and it is indeed the Valley of the Gods. 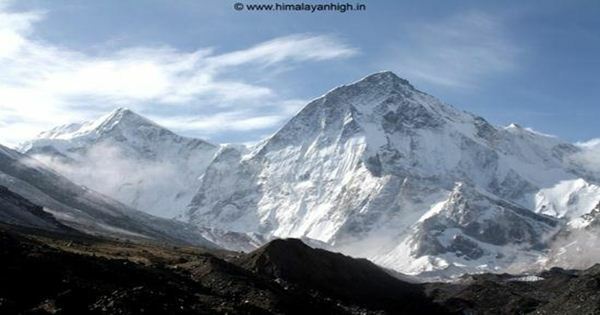 If you are thinking of trekking in the Himalayas, you should not miss out this beautiful trek. And if you wish to do it, there is no better way to do it than with Himalayan High. I will continue to go on such beautiful Himalayan treks with them. Thank you Himalayan High for making my first trekking experience a special memory. Hey, our trek to HarKiDoon with you guys was just amazing. The guidance and the food and taking care of us, the tents and we very little thing was at its best. I would love to join this company for more treks and hope to see suman bhaiya and montu bhaiya soon !!! All the best !! A group of 12 persons - 3 from Vadodara, 3 from Valsad , 6 from Pune made a trek to Harki Dun @ Gadhwal region Through Himalayan High from 5th April to 13th April. 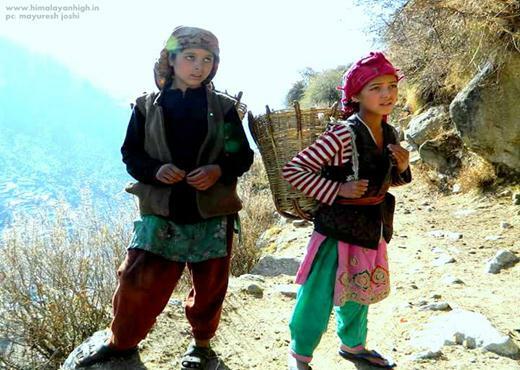 Trek started from Sankri through magnificent valleys, rivers, streams, falls, jungles and remote villages. Breath taking Himalayas peaks covered with snow had kept us speechless. 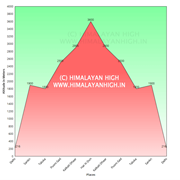 The arrangements made by Himalayan High was excellent. Camping was wonderful, food was suiting the situation, trek leader Montu was excellent, guide Jyotsingh was true guide and the cook, helpers were care taking. The organizer Suman was and is very much knowledgeable and excellent commander working in back hand. We had enjoyed every second of our trek and had fun @ Har ki Dun area with full snow deep to about feet! No more words to describe the journey. Had any one got chance, do it with HH for sure.